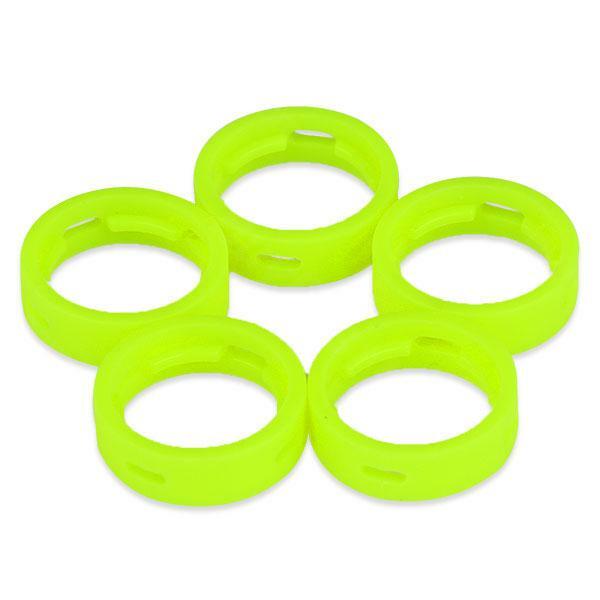 5pcs Eleaf iJust 2 Silicone Airflow Control Ring, are designed for iJust 2 Atomizer/kit. With a ring, you can adjust the airflow of iJust 2 Atomizer. 4 colors are available. 5pcs Eleaf iJust 2 Silicone Airflow Control Ring, is designed for iJust 2 Atomizer. With a ring, you can adjust the airflow of iJust 2 Atomizer. Blue, Green, Yellow and White 4 colors are available. Eleaf first adopts outer airflow adjustment silicone ring in order to make this product more convenient and user-friendly. • It is more flexible to rotate. • It connects tightly with the atomizer base to ensure you different vaping experiences. • It can also prevent the whole iJust 2 kit from hand slip and decrease the damage of the glass tube caused by careless drop.